Singer, songwriter and entertainer Kimmy Schwimmy plays to the most important of all audiences--KIDS. Whether it's performing to a sold out theater or a local school, Kimmy believes that sharing a passion for educating through song is at the core of a child's development. Kimmy's current success is a true grassroots story. For many years, she's taken her extraordinary talents to different schools within the tri-state area (New York, New Jersey and Connecticut) where she reaches thousands of children and families connecting music to learning. Kimmy's educational and entertaining musical style exposes a broad age spectrum to Rock, R&B, New Orleans style funk, Latin, African and Jazz rhythms. Blending these musical styles allows Kimmy to appeal to the diverse group of children she teaches each day. Aside from her catchy and upbeat music, Kimmy's talents also focus on language and literacy, gross motor development and learning skills. As a testament to quality, every song Kimmy writes is beta tested with the children and educators prior to the CD being released into the marketplace. Kimmy Schwimmy's new CD entitled, The Imaginary World of Kimmy Schwimmy is produced, engineered and co-written by Robert Duncan. With her melodic voice and inspired lyrics, the songs featured on the CD educate children on themes such as animals, colors, the alphabet, vowels, numbers and even social skills. 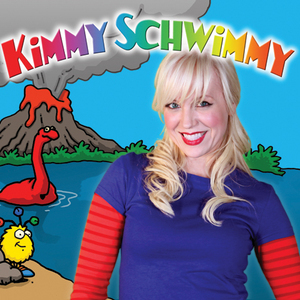 Kimmy Schwimmy's songs and characters are embraced by extraordinary creative talent that will assist in bringing Kimmy's songs and characters to a multi-media platform including CDs, Books, Television and Merchandising. Television producers, Lisa Lax and Nancy Stern of Lookalike Productions and winners of 16 Emmy Awards produced and directed Kimmy Schwimmy's music video ?Ow Wee Ka Zow Wee? which is currently a big hit on the kid circuit. In addition, Kimmy's characters for her forthcoming book will be illustrated by New York Pop artist, Ed Heck. His illustration credits already include the popular children's books, Big Fish Little Fish, Monkey Lost, and A Dinosaur Named Sue. Kimmy Schwimmy is truly on her way to becoming a global brand. Kimmy started her career as a performer with The Radicals, a Christian Pop/Rock Group that had a loyal following in Boston, Atlanta, New York, LA and Europe. With sold out audiences at The Boston Garden, Orpheum Theatre, Paramount Theatre at Madison Square Garden, The Apollo Theater, The Palais Des Congres in Paris, and various venues in Hungary and South Africa, these global experiences taught Kimmy the keen art of performance and the importance of singing songs with a message. Shortly after 9/11 when so many people were making changes in their lives, Kimmy and her family decided to return to NYC and start a new chapter with more meaning. It was at this point in Kimmy's life that she decided to take her music in an educational direction and work with children. Kimmy Scwhimmy said of her experience working with the children ?I have created a musical canvas to play on, and when children play, it is their work. They get so engrossed in the music they don't realize how much they are actually learning. Music opens children up to receive more information and when the lyrical content is educational, and the imagination is stimulated, the layers are present for a multifaceted experience. Children are honest souls, the purest things out there.? Kimmy Schwimmy studied Voice and Commercial Music Business at New York University and Georgia State University. She is originally from Georgia but now lives in New Jersey with her three children.